Do you have some things you wish you could say to God if only you had the words? This peculiar metaphor popped out of my mouth while I was teaching a unit on the Psalms last month to our adult Sunday School class at our new church here in the Smokies. Mike and I had just been to a Balsam Range concert the night before, which might explain my preoccupation with bluegrass. I’m a girl who hasn’t had a musical group I particularly cared about since the Monkees. (Did you hear that Peter Tork died last week? More than a few years have passed since I’ve listened to a group’s music enough to memorize the lyrics. (“I’m a Believer” was big in my high school youth group.) But now on the shady side of 65 I’m mildly obsessed with the artistry of Haywood County’s own hometown boys, Balsam Range. Their newest album, Aeonic, released last month and I know every song. Many psalms were put to music in their original form. Forget a harp and a lyre. The lament psalms were written to the tune of a fiddle and a banjo. Just as Balsam Range sings those high, lonesome bluegrass blues about children who left too soon and lovers who broke their hearts, the Psalmist does some wailing of his own. He’s got enemies surrounding him and a son who hates him. He’s been falsely accused of some sins and he’s writhing in regret for others. Like our lives, bluegrass and the Psalms gravitate between two poles: foot-tapping praise and hand-wringing lament. But here’s the crucial difference: the audience. Musicians play to a crowd. The psalms shout glory and pain to an Audience of One. Maybe, like me, you were raised in a faith tradition that did not use rote prayers. I thought maybe we got extra points for originality in our petitions, for fresh angles to our prayers. Sometimes, though, I am plumb fresh out of new words. Help her, Lord, I say again and again. She is so scared for her boy. Heal him, Father! I cry. We love this man. His family needs him. Hold them together, dear Jesus. Their marriage has ripped apart. It’s then that the laments of the Psalmist explode from my throat. God not only gave us his Word but wants us to pray it back to him. If in his most desperate hour Jesus prayed the psalms (“My God, my God, why have you abandoned me?”), why can’t we do the same? The power is not in us or in the quantity or quality of the words we spit out in our suffering. The power is in the One who hears us. The boys of Balsam Range are psalmists, too. Sometimes the only prayer we can pray is that one. Help me to hold on, Lord, don’t let me let go. It’s the cry of the psalmist: “Yet I still belong to you; you hold my right hand.” (Ps. 73:23 NLT). It’s music to God’s ears. Gail, you are one amazing woman. Here we have never met in person, but you always take time to encourage me in the midst of your own battle. You are a gift, friend! May the prayers and yes, laments, of God’s people continue to surround you as we storm the heavens on your behalf. Love this post, Maggie. Thanks so much, sending it to my Elaine! Pat, if Elaine would like to receive these weekly posts she can add her email to the site (upper right-hand corner.) I’d love to stay in touch with her. Much love to you both! thank you, Maggie. I needed this today. Praying God’s special touch on your life today. Dear Polly, may those generous prayers return to you as well. I so appreciate your comments. Bluegrass and the Psalms…I love the comparison! And you know exactly where this one came to me! Thanks for reading, hon. I love this, dear friend! Sometime I will tell you the story of how a Psalm ministered to me when I was at the low point of my life. And then we will talk about other happier things. I still am hoping to come and see you and Mike in your new magical place, Peace Ridge. Thank you dear friend! And we do have much to catch up on when we get together again, whether on our travels or here at Peace Ridge. I think it’s high time I memorized some Psalms! In your spare time with two Littles and a third on the way? I think you’ll have to do them in your sleep, honey. I would really like to hear some good Christian bluegrass music. Any ideas? Yes, Balsam Range. You can get their albums online. 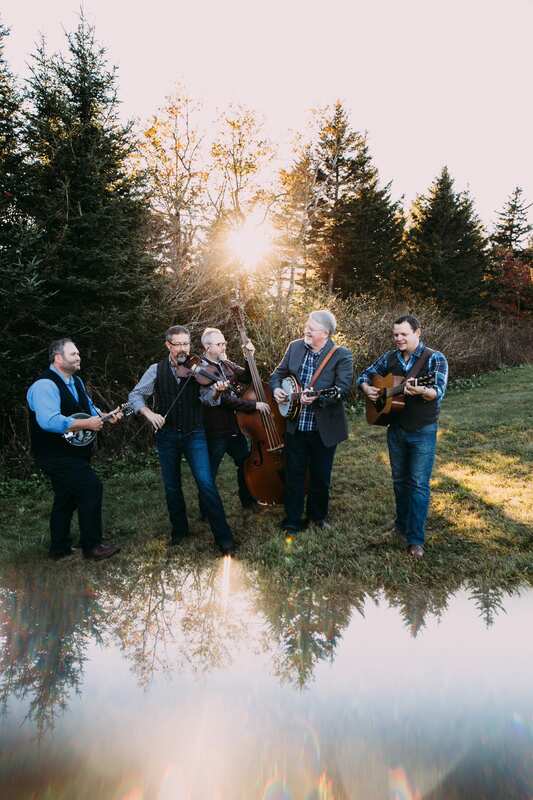 They have won international awards as best bluegrass group.